Mergers are nothing new but about a decade ago in the telecom market they reached a fever pitch when SBC purchased AT&T and rebranded itself with the name of the acquired company. At the time it became common in the industry to believe consolidation among carriers meant consolidation needed to take place at the equipment supplier level. The idea is if you have fewer customers, you have less pricing power which means lower overhead with means merging suppliers can eliminate redundant costs such as accounting, marketing, HR and other “synergistic” areas of the business. Large carriers have also been known for choosing large suppliers for their hardware needs as they felt these larger companies were more likely to be around to support them in the future as they roll out their solutions. Communications service providers are at war with OTT providers and need to ensure they are able to battle on as level a playing field as possible. There are significant costs associated with running a major telco and hardware infrastructure certainly ranks high among them. Sure, OTT providers like Skype and WhatsApp have infrastructure costs as well but they often leverage standard servers and software to achieve their goals. See me live at 2:00 pm today here at GENBAND Perspectives 2013 where I speak on a panel "Harnessing the Power of Social Networking" in the Grand Cypress Ballroom here at the Hyatt Regecy Grand Cypress. 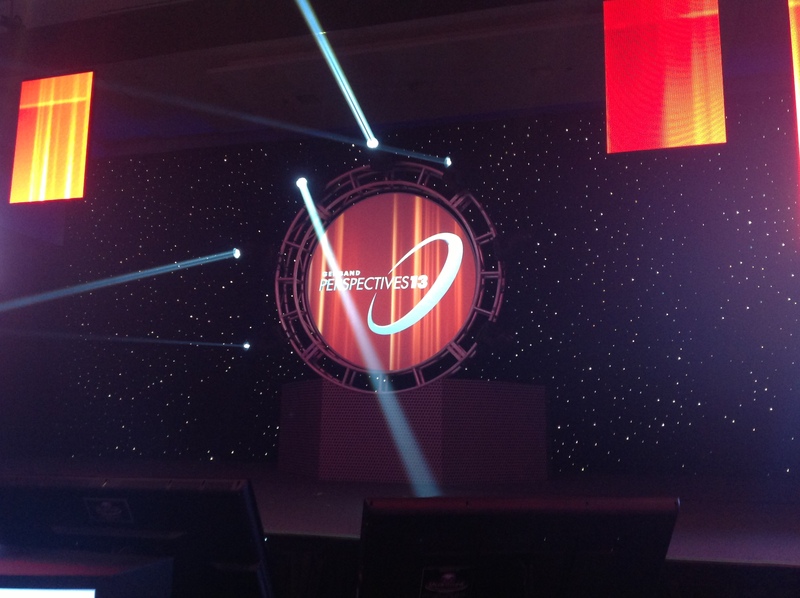 I am in Orlando for GENBAND Perspectives 2013 and the show is about to begin. last night there was a poolside reception which was rained out - but the venue was able to move about 1,000 people quickly indoors where the reception continued without a hitch. OK, a few of us had some wet clothes but other than that things have gone well so far. GENBAND Chairman David Walsh takes the stage. "Digital life is interactive. There has been talk within the telecom industry for many years regarding whether communications service providers would eventually just become providers of dumb pipes or provide added value they can charge for. The move to IMS in-part was supposed to allow these companies to add more apps and services to their offerings, allowing them to generate more revenue. When Apple opened up its iPhone platform, hundreds of thousands of apps began to do many of the things telcos would have liked to provide. Moreover, many functions which telcos used to charge for like SMS were given away for free from the likes of WhatsApp and Facebook. 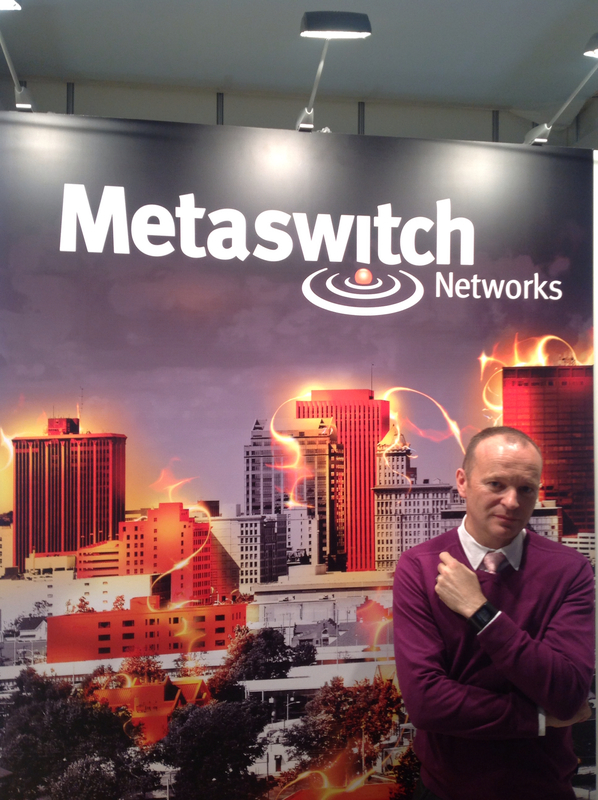 Metaswitch Asks: Are You Ready to be a Software Telco? Virtualization has made the IT world much more efficient and cloud technology allows applications to scale up and down at will in a far more cost-effective manner while requiring little to no CAPEX. There is hardly an industry which hasn't been affected as software and hardware vendors have worked together to make sure they are ready for this new world where a single server can run multiple instances of an application on servers which are flung far around the globe. Even the PBX-world has gotten into the game with many vendors - especially those doing business with Fortune-class companies supporting virtualized software communications servers. In a recent conversation with Steve Gleave (pictured) and Carol Daniels of Metaswith at Mobile World Congress 2013, I learned the company is taking the move to virtualization seriously and their recent product launch of 19 months ago - the SBC, was developed to run in a such an environment. As wireless markets globally move to 4G, Altair Semiconductor has targeted this newer network standard with a single-mode line of chips which cost less and use less power than mult-mode solutions which have to grapple with 3G and older standards. As consumer electronics devices become more price-competitive, choosing a streamlined solution means OEMs/ODMs can reduce their costs and pass part of the savings on to customers allowing more inexpensive solutions to be marketed. The big news for the company at Mobile World Congress 2013 in Barcelona was the release of a new chipset for LTE-A, the 3800/6300 FourGee line which can download at 150Mbps and upload at 50 Mbps. The chips support carrier aggregation and a wide frequency band span of 400-3800MHz with 6 concurrent LTE bands for both primary and diversity antennas, enabling global band combinations. There is further support for VoLTE and HD-voice as well as interference cancellation an peripheral interface support for a wide variety of applications from consumer electronics to M2M. 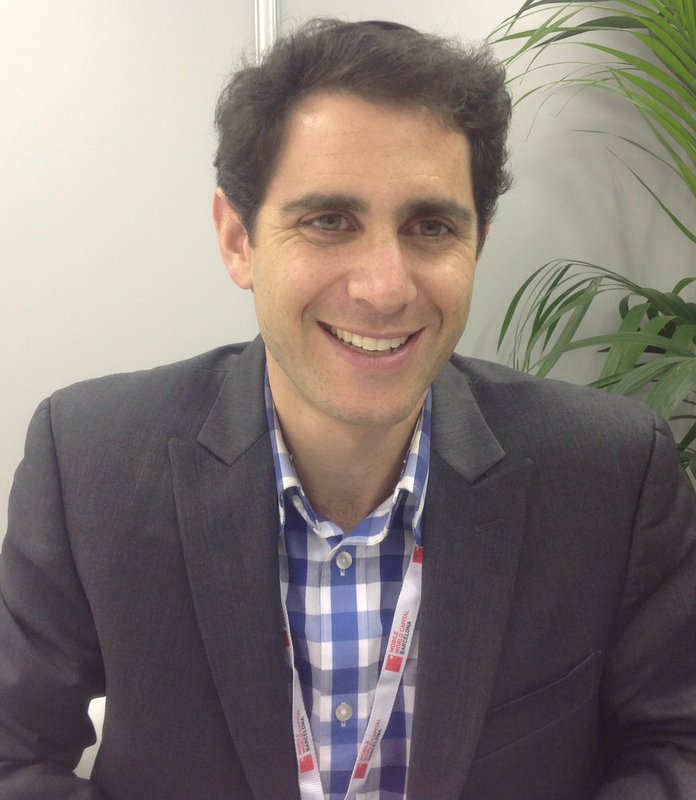 The company hopes it becomes the go to source for connectivity in an "internet of things" world and spokesman Matthew Krieger (pictured) brimmed with excitement about how their solutions are replacing competitors in the market. One of the greatest challenges incumbent companies face is the ambivalence and corporate politics incumbency breeds and it only gets worse in what we call the age of acceleration where competitors arise faster and technologies shift more quickly than ever. Nortel, NSN and Alcatel-Lucent are all companies who enjoyed decades of leadership in the carrier market and in the process decided to provide generous benefits for their workers which would eventually help make them uncompetitive. There is more to it - in the late nineties, Lucent acquired companies so quickly that its workers didn't know exactly who did what. Nortel too made a great deal of acquisitions. With global uncertainty the norm, many carriers have struggled to get financing for new infrastructure projects and in fact they have been a bit hesitant to spend on areas other than wireless where ROI is much more predictable. 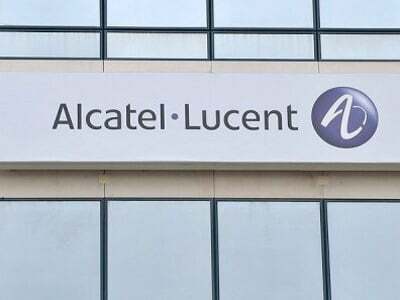 Subsequently, the financial challenges facing Alcatel-Lucent, Nokia Siemens Networks, ZTE and others aren’t expected to dissipate any time soon. What may be a surprise to some though is how ZTE, a Chinese telecom equipment manufacturer with relatively low costs could have lost $414 in Q3 of this year while seeing sales drop by 13% and gross margins cut in half. In response to this decline, China Development Bank (CDB) an entity controlled by the Chinese government has given the company a $20B line of credit at very low rates allowing it to streamline operations, continue its expansion and perhaps most importantly finance its customers’ purchases.